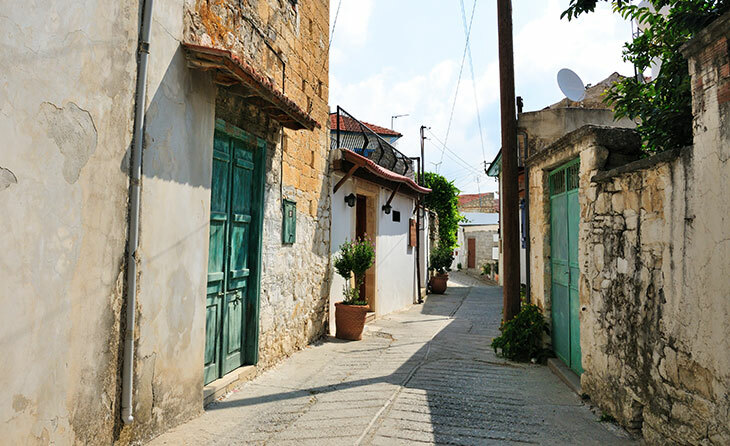 Located in the heart of the Cyprus wine region, Omodos is a richly fruitful village where many traditional Cypriot products – from Zivania and wine, to soujoukos and palouze – are made locally and can be found in the many charming little shops that line the narrow cobbled streets. That’s not to mention the gorgeous handmade lace that the women of the village are so very passionate about. 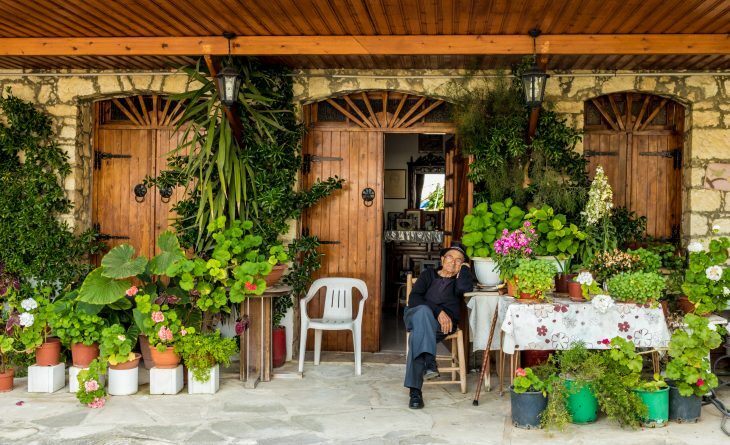 With its tourist appeal having ensured that the village and its medieval stone buildings, museums and churches are all very well looked after and maintained, read on to uncover My Cyprus Insider’s recommendations to keep you busy in the area from morning to night! 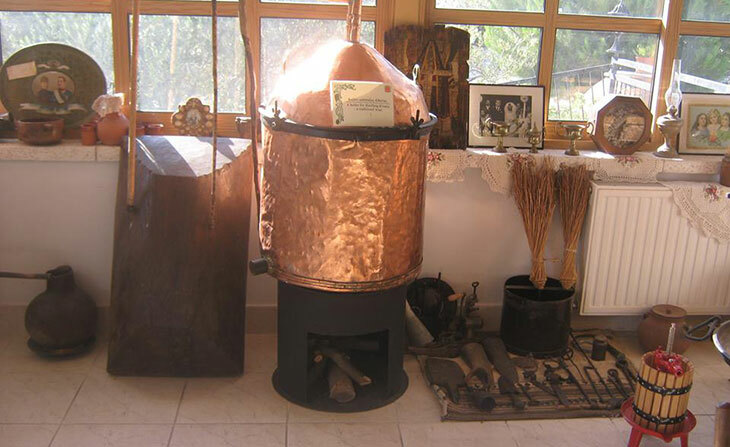 If ever there was a traditional old village house with a wonderful family focused back story in Cyprus, Stou Kir Yianni would be it. 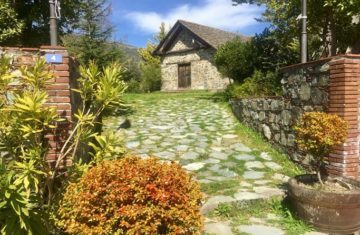 The old mansion was lovingly restored between 2003 and 2007 by Stavros, whose family had owned the property for centuries. 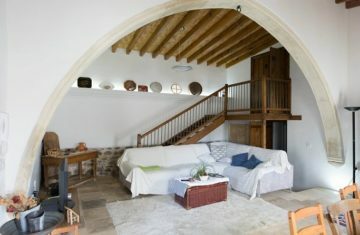 Now an excellent café and traditional Cypriot tavern with some of the best food in the village, the house’s old hay loft and vegetable storage area on the top floors have been converted into three wonderfully comfortable and traditionally decorated self-contained suite apartments. The three apartments each feature a large double bedroom with an en-suite bathroom, spacious living rooms and kitchens as well as balconies with spectacular views across the village. 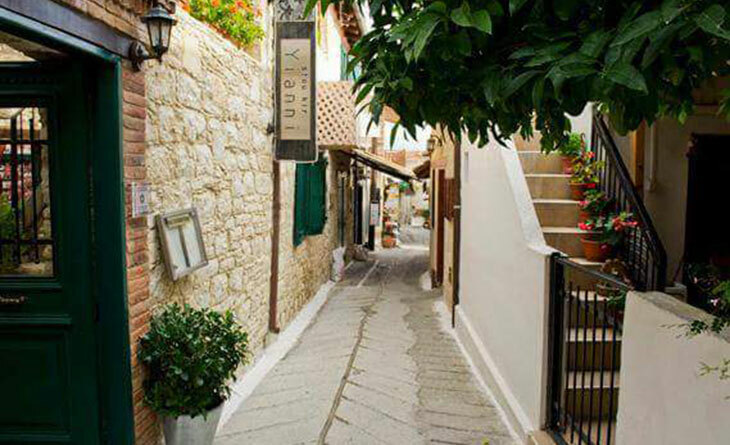 Wake up here and have a delicious traditional breakfast before heading out for your day in Omodos. Standing in pride of place slap bang in the middle of Omodos village is the stately and impressive Timios Stavros Monastery. You could go as far as saying village was built around this landmark which is said to date all the way back to A.D.337 before the arrival of Saint Helena in Cyprus. 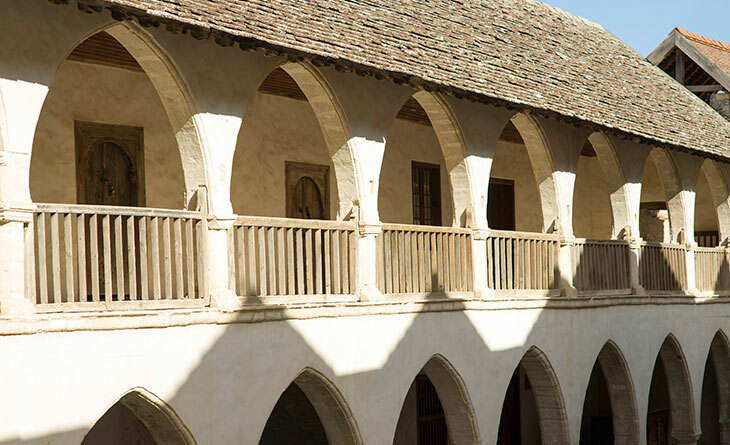 While the Monastery’s peaceful sunlit courtyard and ornate Church of The Holy Cross are impressive in their own right, it is the alleged relic of the Holy Rope that tied Jesus Christ’s hands to the cross that elevates this monastery to near pilgrimage status. 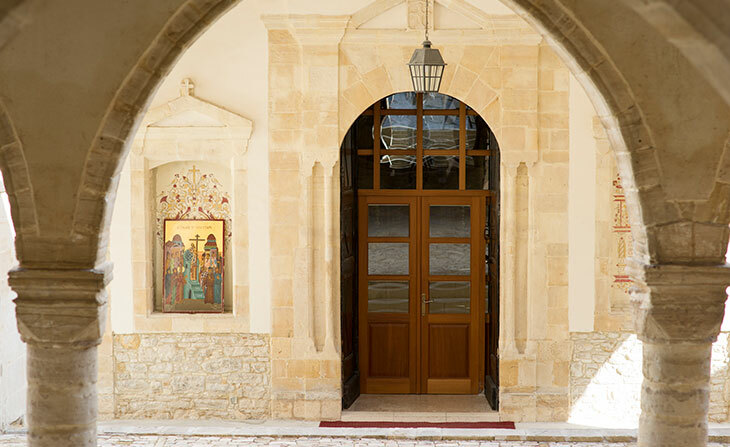 Although the monastery was renovated and expanded in 1850, the architecture is still strikingly unique to Cyprus, with the Pi shaped complex built around the main church. Once you’ve soaked up enough of the pious atmosphere in the church itself and admired the golden ancient icons, take some time to stroll through the surrounding complex museums including the Museum of Byzantine icons and the Museum of Folkloric Art. 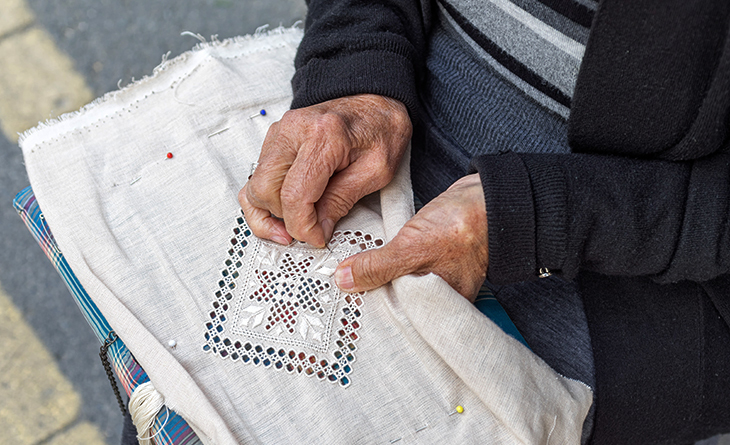 You’ll spot Nicos Souvenir Shop before you reach it thanks to the little old lady who sits opposite, head bent down meticulously sewing the beautiful lace and crochet products she proudly sells in the shop named after her husband. And don’t worry; it’s not a case of the woman doing the work and the man getting the credit; inside the tiny little lace filled shop, you’ll find Nicos, hidden away in the corner surrounded by his wife’s beautiful creations, on hand to give you information, prices, stories and to help you pick out the perfect souvenir. On the shelves, you’ll find folds upon folds of beautifully hand crafted table cloths, place mats, dresses and waistcoats, bed linen, throws and wall hangings. 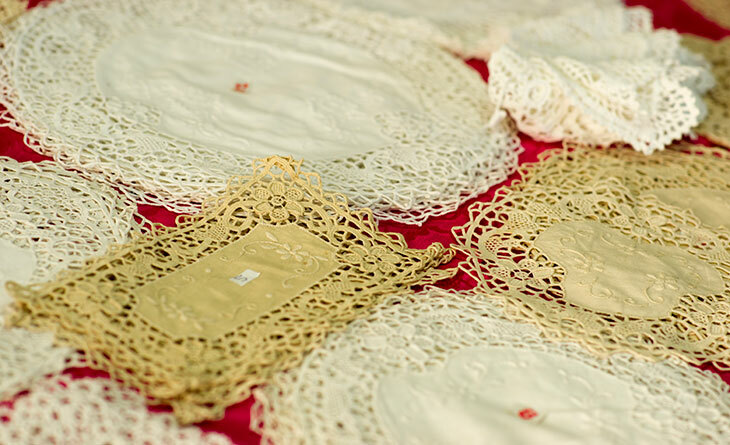 And by buying one of these pieces, you’ll be supporting the local handicrafts and helping to maintain and continue the creative tradition of lace making in Omodos. 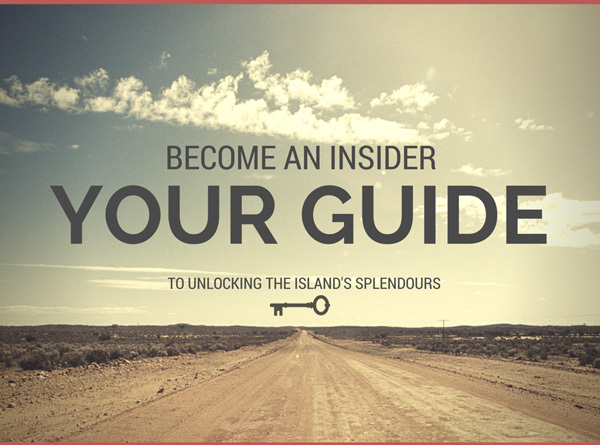 Want to find out more about the lacemaking tradition in Omodos? Then head down to the Centre for the Preservation of Narrow Knit Lace where you can ogle at some great collections passed down from generation to generation. Where? Opposite Timios Stavros Monastery. 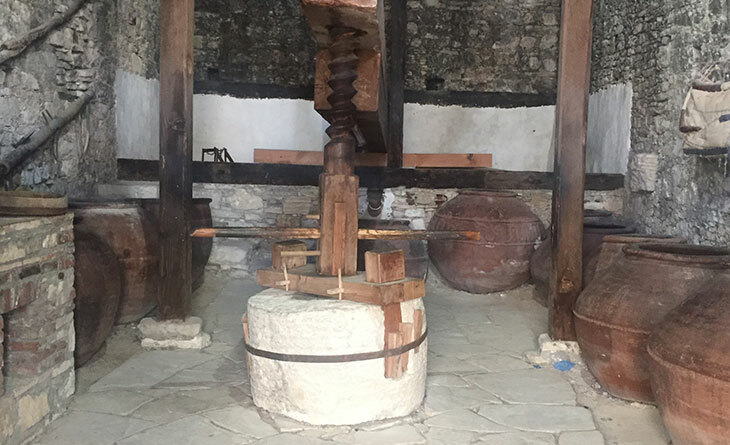 According to history, every household in Omodos would have once owned its own wine press and today, visitors can see how these ancient machines worked at Linos tou Charilaou – a medieval wine press converted into an interesting museum. Thought to be one of the most ancient wine presses in Cyprus, Linos tou Charilaou wine press is fantastically well preserved (thanks to its status as an Ancient Monument by the department of antiquities), with its wooden cogs, wheels and barrels, and today, stands as an example of not only the old wine making techniques, but also the ingenious craftsmanship of the local residents. 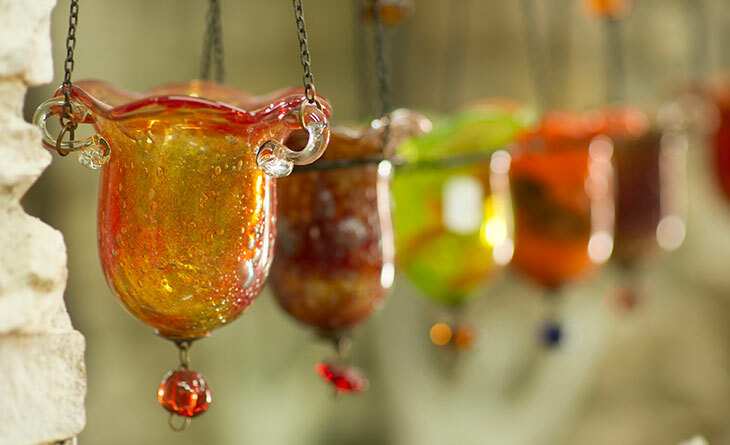 The museum is small and cosy and can easily be taken in during a stroll through the winding streets of the village. 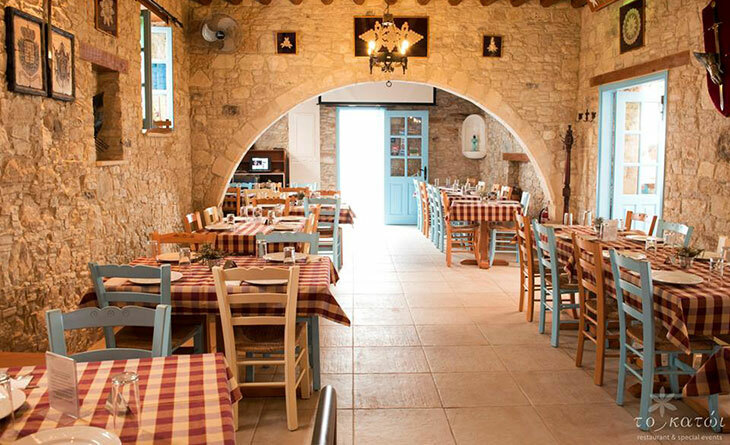 It may not look like much from the outside, with its narrow wooden door and its unpretentious menu written on a board outside, but once you enter Makrinari Tavern and head up the stairs onto its spacious and airy roof terrace, you’ll quickly see what makes this traditional tavern the popular little local spot that it is! From the roof garden, diners can enjoy wonderful views across the village and the mountains beyond. In summer the terrace is naturally shaded by the copious vines, with their lush green leaves and their heavy bounty; and all year round the restaurant serves up a mouth-watering menu of taste bud tantalising Cypriot village fare such as afelia, pourgouri, mousakka, koupepia. Want a mix of everything? Go for their meze! 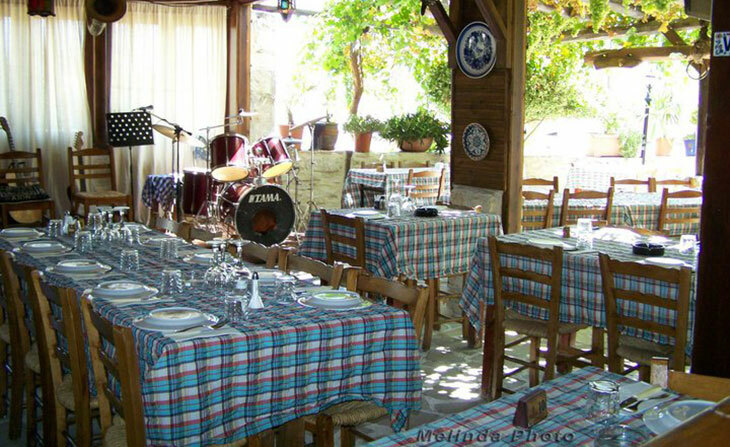 Makrinari also serves dinner and popular live music nights. 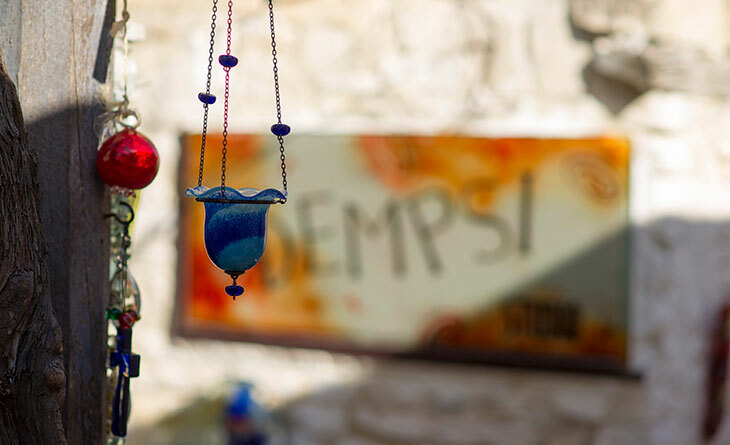 He calls himself the first and only hand blown glass artist in Cyprus and whether or not this statement is true, a visit to Omodos village would be incomplete without following the ubiquitous signs for Dempsi’s handmade blown glass studio and exploring the subsequent eccentric little corner of artistic creativity. 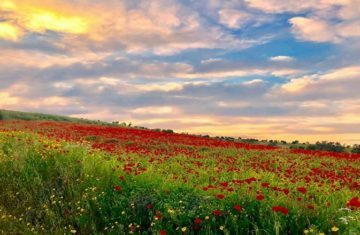 Seeing as you just happen to be in one of the biggest of the ‘krasohoria’, or wine villages, it seems only fitting to pay a visit to the wineries that give the area its name. Zenon Winery is reputedly one of the best to visit not least because it produces some very fine award winning wines such as the famous shiraz-maratheftiko, but also because of the quaint little wine museum on site and the free wine tasting available for visitors to sample to produce! 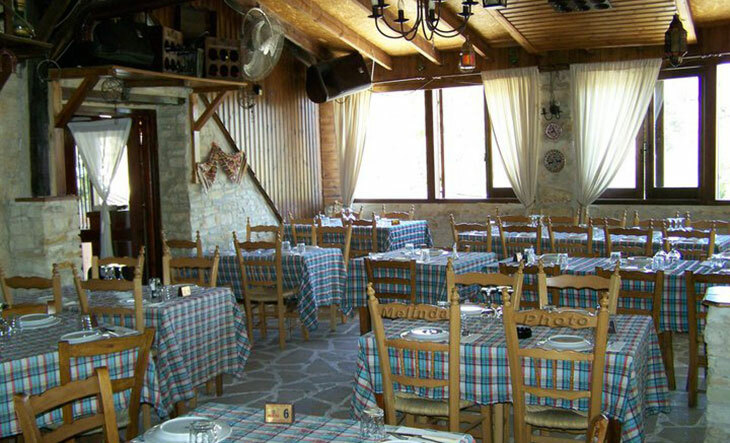 Ask anyone in the village where the best place for dinner is in Omodos and you’ll get a resounding answers “To Katoi!”. 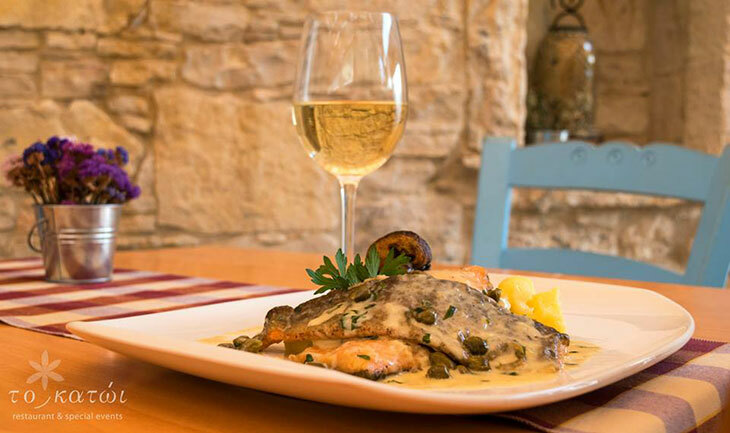 Housed in an atmospheric medieval Cypriot mountain house – complete with its hanging chandeliers pointed arches and wooden beam ceilings – the highly recommended tavern serves a host of delicious Cypriot dishes with a twist. Try the dip platter with Sesame tahini, Santorini fava and tyrokafteri spicy cheese dip for starters, followed by a freshly cooked mountain trout or traditional ‘lamb kotsi’ together with a generous carafe of local wine. 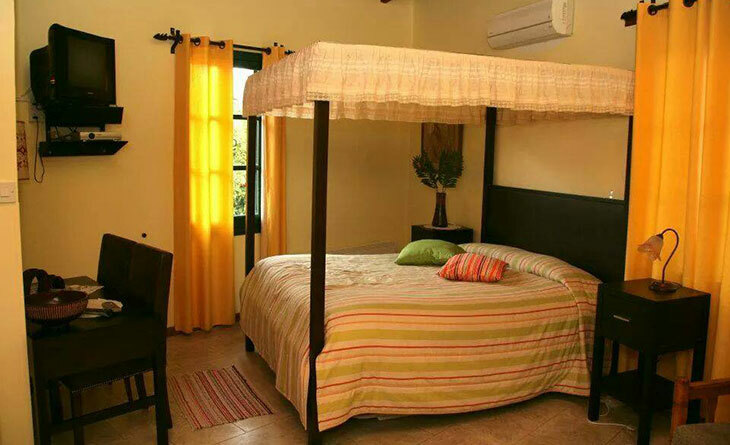 And just when you thought you shouldn’t have that second carafe, To Katoi is also a holiday home and guesthouse so you can get settled in for the night and stay in the comfort of the traditionally decorated private suites.